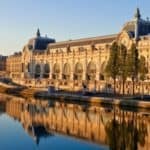 If you’re in Paris and want to take a little piece of France with you, you need to read this article about the best food to bring back from France! 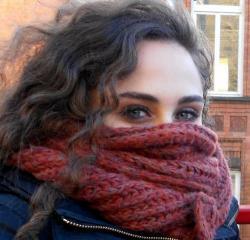 Whenever one travels to a foreign country, they always want to leave with a bit of it! It’s a must! People hold on to the moments of happiness. That is why, sometimes, people get attached to objects because they remind us of a special moment. We never leave a country empty-handed. We always want to bring as many stuff as possible. Because we want our trip to last as long as possible! Each object you will bring back from France will have a story behind it and will also be part of yours! You will have plenty of stories and experiences to share with your relatives, so why don’t you take a taste of France with you? So they can have a little taste of their own! 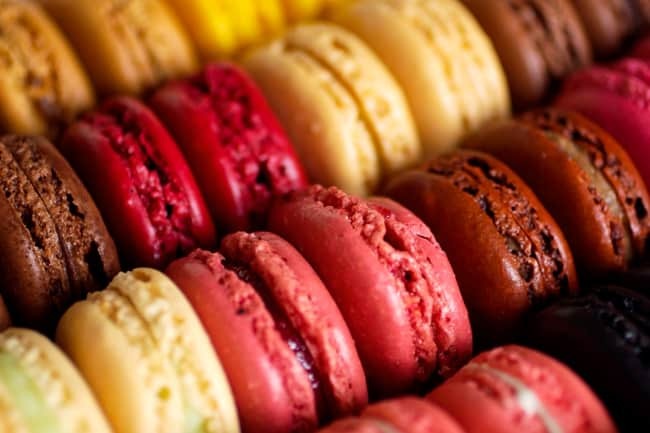 Take some edible souvenirs and some sweets to extend your stay in France a few more days! 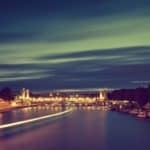 Read on to find out the best food to bring back from France! 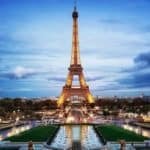 You will probably also like my article about the best souvenirs to bring back from Paris, read it here! You’ve probably already heard of it! It’s a few centuries old mustard that follows a unique recipe. People love this strong mustard. You will find Dijon mustard in every Parisian house you will get to visit! It’s very popular and most people in France have it at home! It can be used to accompany meat or to be mixed with other ingredients to make a sauce. If you want your friends and family to have a taste of French lifestyle and food habits, you absolutely need to put a Moutarde de Dijon in your luggage! You will have the best meat dishes accompaniment for months! If you want to know more about French food habits and customs, I highly recommend you to join our cooking class! It’s fun and enriching and you get to learn a lot in the company of locals! Quoting Forrest Gump, “Life was like a box of chocolates. You never know what you’re gonna get” which turns out to be true actually. The very essence of life is about surprises and not knowing what will be around the corner, just like a box of chocolates! To me, it seems to be the one of best food to bring back from France! 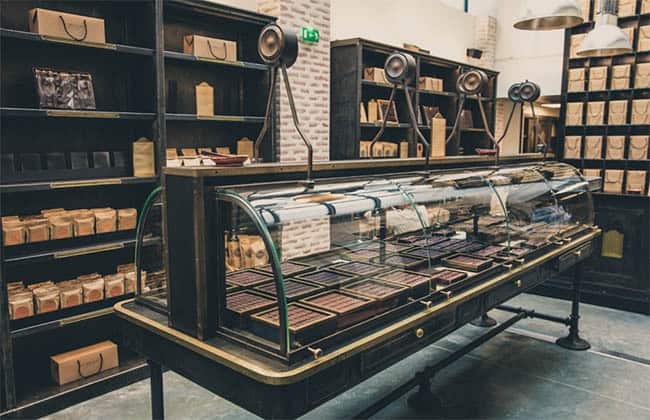 You will find so many great “chocolateries” in Paris! It’s a great gift for many reasons. I love the fact that, usually, when people open a box of chocolates, the chocolates kind of look the same on the outside. But when people start eating, they quickly realize it’s actually an explosion of flavours, all very different from one another. People love to eat the chocolates and try to guess the ingredients! It’s very fun! It’s love at first bite! If you want top quality chocolates, you can try the Alain Ducasse ones. There’s only a few stores in Paris. 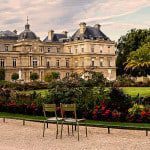 There’s one near the Marais neighborhood, located at 40 rue de la Roquette, and another one is located in the Saint-Germain-des-Prés area, at 26 Rue Saint-Benoît. These chocolates are exquisite! Join our Marais and our Saint-Germain-des-Prés tours to discover the best chocolateries! You can also try the Jeff de Bruges ones. 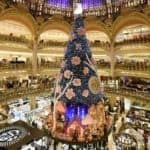 There are five different stores in Paris! They are delicious as well and less expensive. Another great “chocolaterie” is the À la Mère de Famille store. It can be found in the Montorgueil neighborhood, at the 82 Rue Montorgueil. Also, if you want to know which ones are the best chocolate makers in Paris, read this article. And if you want to know a few facts about chocolate, read this one! Cheese had obviously to be in this article about the best food to bring back from France! 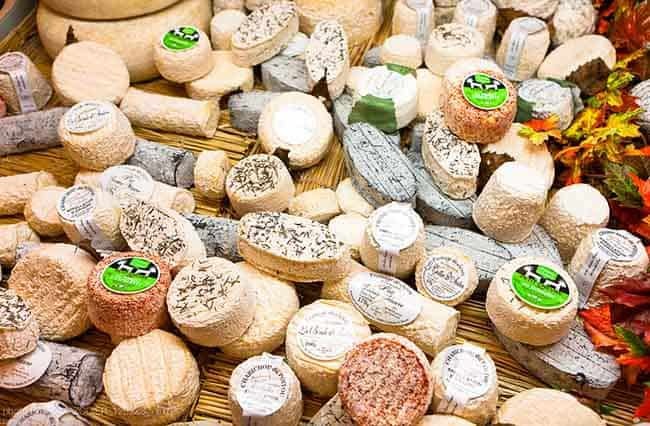 There are more than 400 different types of cheese in France, so you will have plenty of choice! If you’re not sure about which one to buy, you should ask help from the “fromager” or even from the locals. They will give you the best advice depending on your tastes! Whether you like strong flavours or softer ones, you will find the perfect cheese to take back home with you! In my opinion, La Fermette in the rue Montorgueil is a great “fromagerie” for you to choose the cheese that will best suit your preferences! Montorgueil is one of the most Parisian neighborhoods. Parisians love to shop on this street because the products that are sold in the stores there are simply the best on so many levels! So if you’re looking for traditional French food to bring back home, you know where to go to! I advise you to read this article which gives a few tips about cheese. And, you definitely also should join our food tour in the lovely neighborhood of Montmartre to know the best places and the best French fromages there are! Correct me if I’m wrong, but when people come to Paris: to try macarons is always in their “to do list”! Especially the iconic Ladurée macarons. 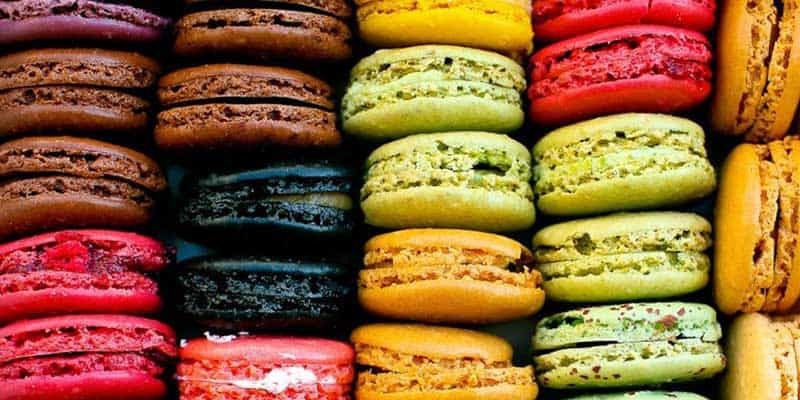 We all long for macarons, in particular those who didn’t get to Paris. So, be nice and bring back home some macarons for them, they will be more than thankful! Or, you can just take some for your own pleasure and enjoy them a little longer! These colorful and delicate look alike mini sandwiches have conquered our taste buds! You can try the delightful macarons at Ladurée. Their first store in Paris is located at 16 rue Royale that you can check during our Paris landmarks tour. 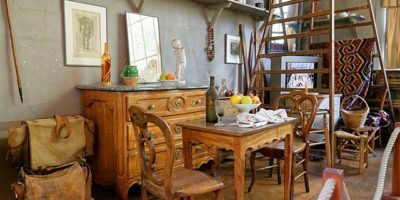 This store and its decoration are simply one-of-a-kind, so charming and typically Parisian. I also recommend you to try Paul’s macarons which are great and delicious as well! 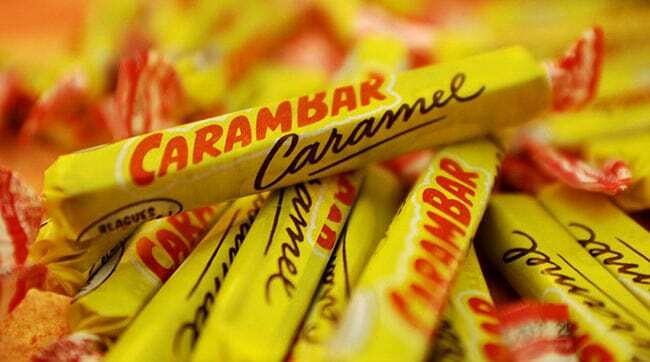 Carambars are on the market since 1954! Carambars are chewy caramel candies that are extremely delightful and addictive! I’m not sure but I think these candies have only been sold in France! Basically, you will only find Carambars in France, that is why I consider it to be one of the best food to bring back from France. These sweet are truly awesome and a great edible souvenir! Every time I go to France, a friend of mine always asks me to bring him a bag of carambars! Plus, inside each wrapper, you will find some jokes in French but they are not really funny. In fact, in France, if you tell a joke and someone refers to it as a “blague carambar” (carambar joke), it’s because it was a very bad one! I hope you’ve enjoyed reading my article about the best food to bring back from France! I’ve shared with you the food I think is the most original to take home with you, but also the most practical! You need to be careful when choosing the food you will take with you. Sometimes, during the way back home, your edible souvenirs may get damaged! That is the main reason I’ve chosen food that can be easily wrapped, packed in your luggage, and that won’t get destroyed or even ruin your belongings! But if you rather not put food in your luggage, you can still join a cooking class and learn a traditional French dish to cook for your relatives back home!